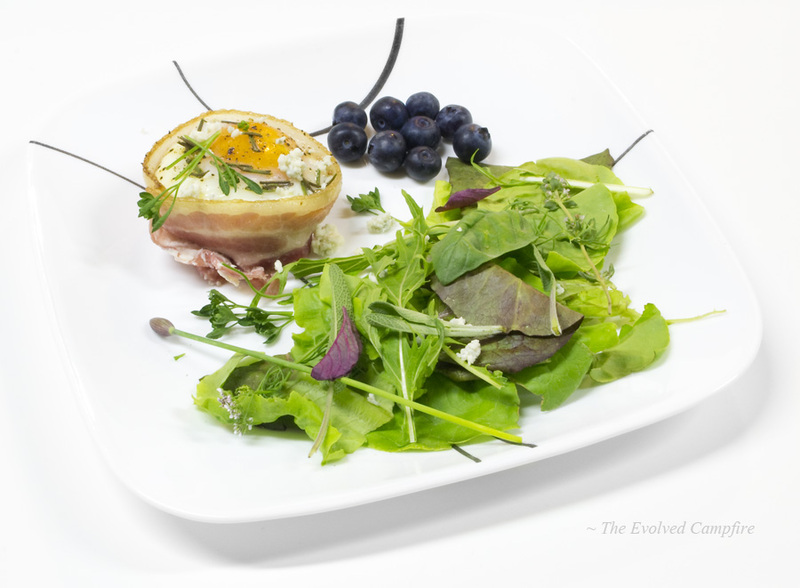 I was tooling around on the internet earlier, looking for inspiration for dinner, when I stumbled across a JoCooks.com blog recipe for Goat Cheese and Eggs in Bacon Baskets. Eureka! Combined with organic blueberries and some of the fresh local greens, herbs, and edible flowers a friend of mine sells from her farm here in town, I’ve got a meal! 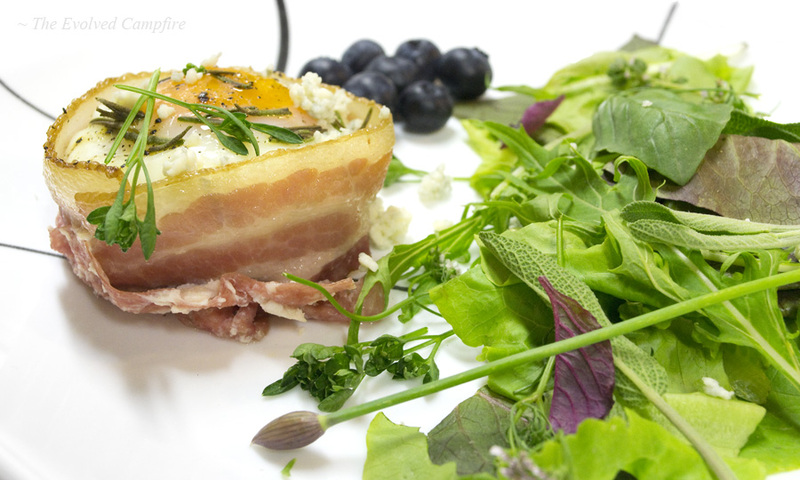 If you want the recipe, just click HERE to go to her blog. I pretty much followed her recipe word for word except I used canned mushrooms (blah), and blue cheese instead of goat. 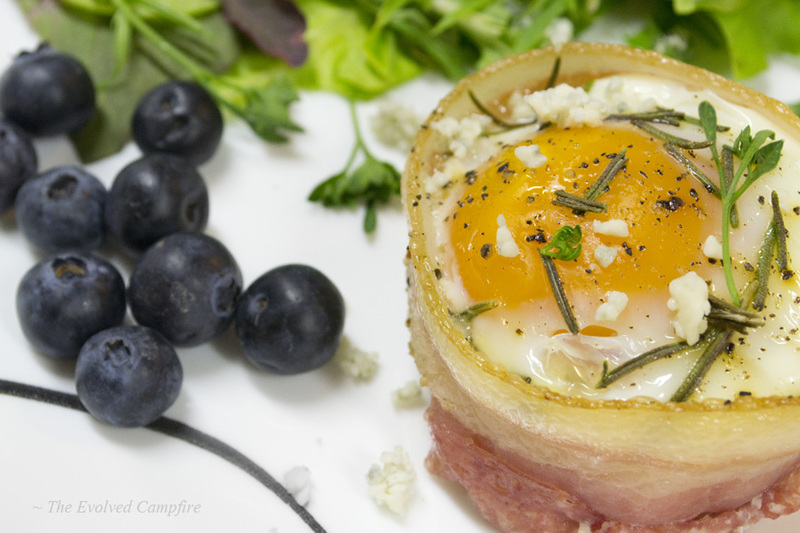 I’m looking forward to experimenting with other bacon egg baskets too – different additions, substitutions, flavors. Plus I made four of them, so two will be for breakfast today or tomorrow! Thanks again for the recipe, Jo! Those ramekins we appropriated sure do come in handy sometimes!